Last month, once again, we witness a never experienced hottest month ever. The average high temperature was over 90 degrees for July. Check out the Sounding the Alarm page. I've posted the 7-day forecasts for every week in July and count the number of 90 degree days listed. In addition, a number of days the temperature was above 100 degrees, and are not shown on the forecasts. So, this latest report is not a surprise. Check out the article at The Weather Channel's Climate and Weather - linked below. May's temperatures broke global records yet again, as the northern hemisphere finishes its hottest spring on record, statistics released Tuesday by NASA showed. 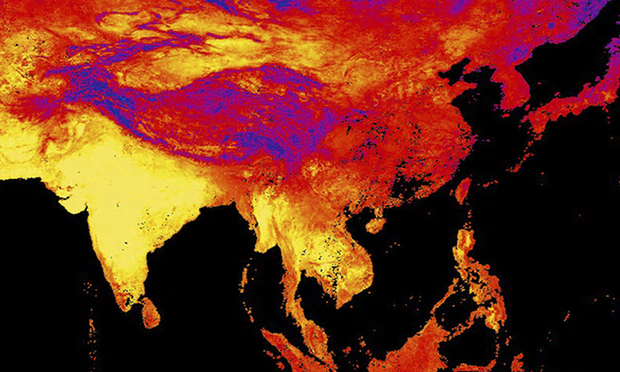 "The state of the climate so far this year gives us much cause for alarm," said David Carlson, Director of Geneva's World Climate Research Programme, in a release from the World Meteorological Association. "The super El Nino is only partly to blame. Abnormal is the new normal," Carlson added. May's exceptional warmth was accompanied by extreme weather events including abnormally heavy rains throughout Europe and the southern United States, as well as "widespread and severe" coral reef bleaching. Austraila's Bureau of Meteorology blamed warm waters for "unprecedented" bleaching of the Great Barrier Reef. The first four months of 2016 were the warmest globally in 136 years. Earth's global temperatures in March 2016 were the most abnormally warm on record for any month, according to NOAA. This is the second month in a row that this remarkable feat has occurred. 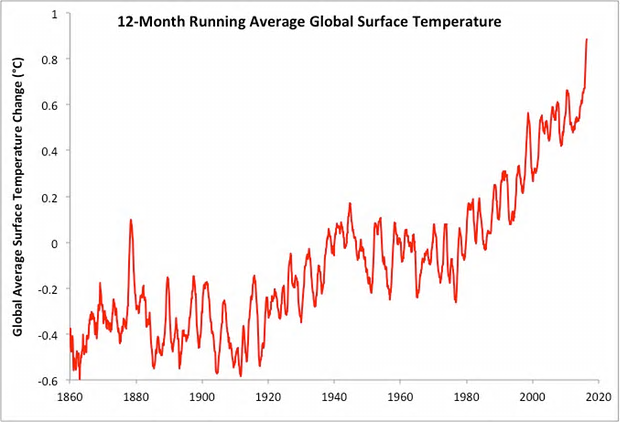 NOAA's global State of the Climate report released Tuesday found March's temperature over the Earth's surface was 1.22 degrees Celsius above the 20th century average, not only crushing the warmest March in the 137-year period of record set just one year prior, but also the largest temperature anomaly of any month in NOAA's database dating to 1880. The previous record for the largest temperature anomaly on record in a given month was just set this past February. March beat out that record by a narrow margin of 0.01 degrees Celcius. March 2016 is also the eleventh consecutive month in a row that the earth has recorded its warmest respective month on record.